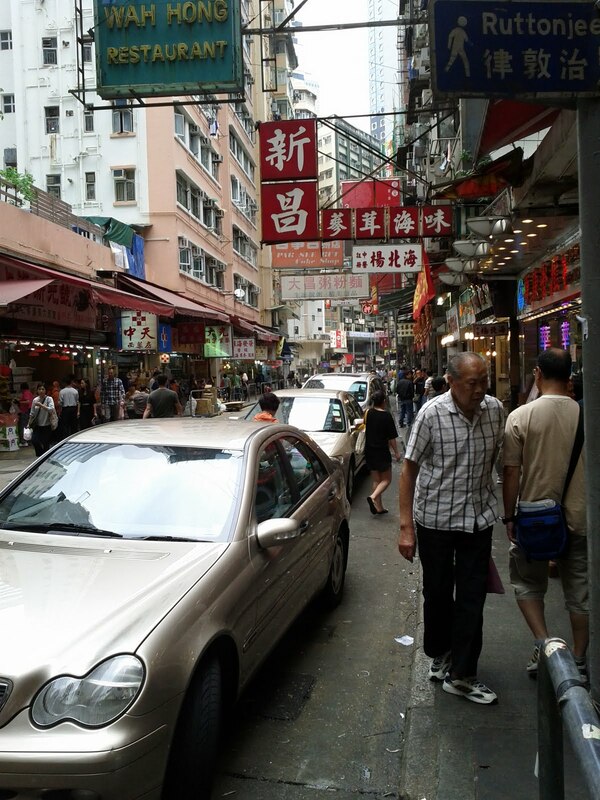 When you walk around through the small streets of Hong Kong, you notice that it is all about food. Wherever you walk, you will find a restaurant, food market or local canteen probably 10 steps away from you. And you don't only see all those places, you also smell them. 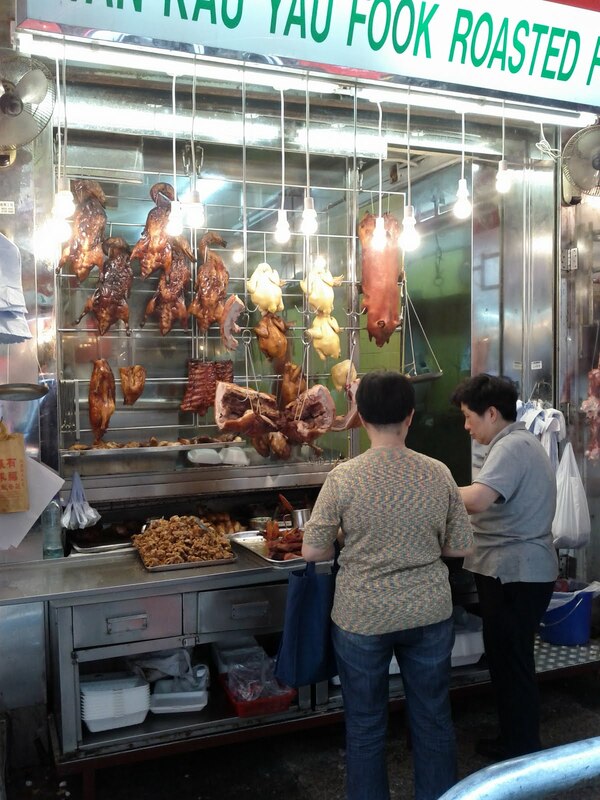 One thing that every foreigner remembers about Hong Kong will be the "interesting" mixture of flavours that you smell when walking through the city. Especially in the small and crowded streets where locals go, you can't protect yourself against the smell of fried duck, cooked garlic, dried fish, durian, raw meat that is hanging in the sun for more than a day already and even more combinations of things you have not smelled before in your whole life. (I'm not talking about whether you've eaten it either). The smell usually comes from small restaurants (also known as canteens) that probably are not bigger than 25 square meters, and (sometimes) look like old garages or tool shops but actually host a local kitchen now where you see fried duck hanging at the display, crab or fish still being (half) alive in small aquariums, or other (parts of) animals that either have been cooked or fried. Inside you usually find a couple of small tables, plastic chairs or stools where you are supposed to sit. During lunch time (rush hour) those places are so full that the local kitchen boss (usually a bossy woman) points you to any seat that is available, even when there are other people (whom you don't know) sitting at the same table. Choosing a menu in such a canteen is difficult for someone like me, who doesn't speak the language, as all menus and special offers are written in cantonese. Therefore it's probably wise to bring a local with you, otherwise you might end up with cooked pig-stomach on your plate. When you enter such a place as a foreigner, the first thought you have is to get out as soon as possible. However, when you have tasted the food once or twice, you will understand why these places are so popular. The meals they offer there are delicious, and the prices are very low. You just have to accept that the "standards" are a little bit different than what you are used to in Europe. For example, some time ago I had an excellent lunch in a canteen that was famous for it's curry meals. I was enjoying a great meal, until something moving on the wall next to the kitchen caught my eye. It was a cockroach that was heading for the kitchen, probably driven by the same smell as what got me in to this place. ... I kept on eating thinking what a delicious meal it was! As I said, you just have to accept that the "standards" are different than what we are used to in Europe. 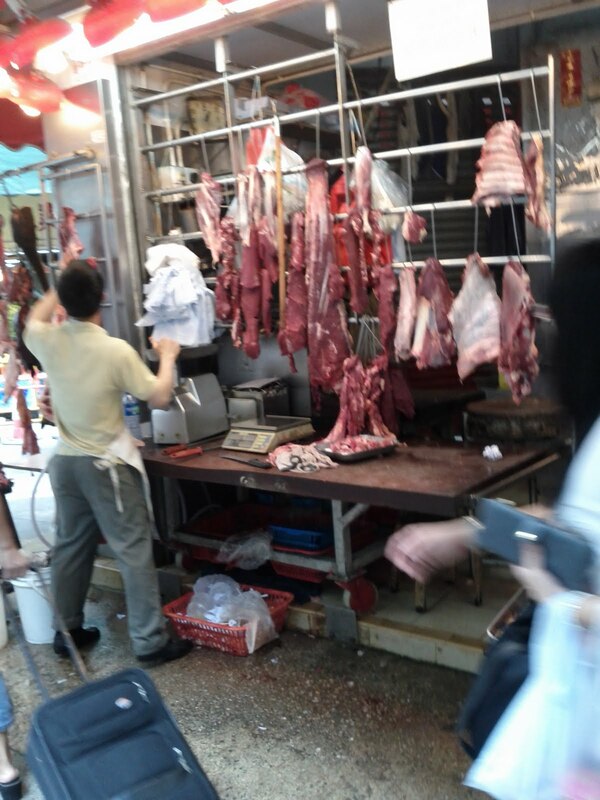 If you set that aside, you will enjoy the most delicious food you will find in Asia! I think you are one of the rarely calm people here who sees a cockcroach in the restaurant and keeps enjoying your meal without any bother!! I occassionally run away from them at the street and I cry out when I see it in a restaurant/ at home! !